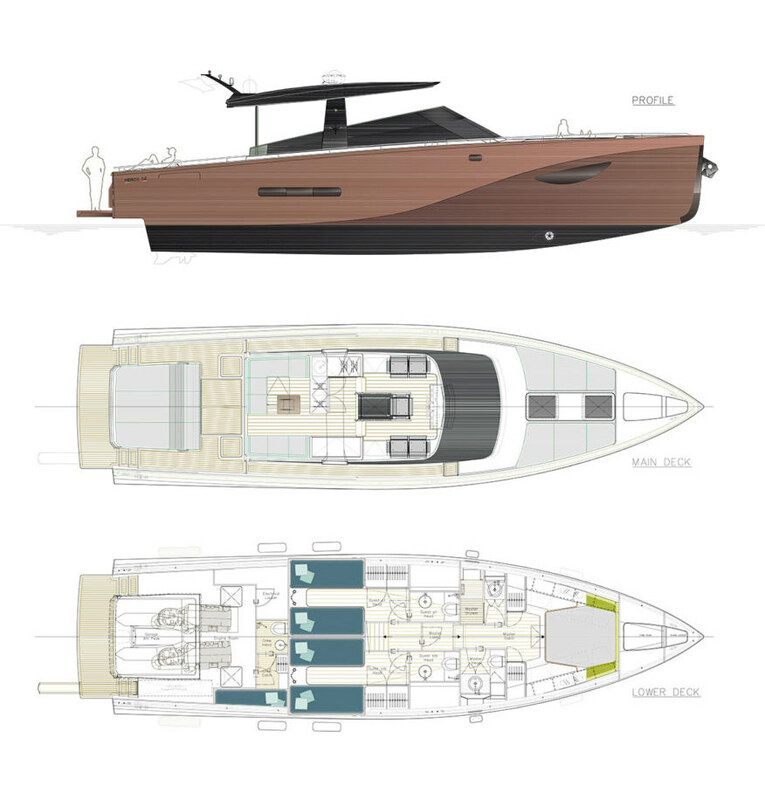 The yacht features two Volvo Penta IPS600 engines, for a total of 870 hp. The choice is due to the special properties of the underbody: relatively low horsepower, then, for such a significant displacement. Depending on the owner’s requests, a combination of alternative transmissions/engines can be installed, starting from the shaft lines up to the higher-performing surface transmissions for top performance.